Funfetti Mug Cake Recipe - It's a light, fluffy, simple vanilla cake overflowing with colorful sprinkles that comes together in just a few minutes — a perfect way to celebrate a birthday, anniversary, or any special occasion! Mug cakes are impeccable when you're a home and wanting for some cake. Rather than heating a whole cake, which can take up to two or three hours, a mug cake takes under 2 minutes, and you can make single serving as well! Funfetti Mug Cake is my latest microwave mug cake incarnation, and this one is super yummy. I made this cake two times till today first on valentine day for my tiny valentine i.e my toddler aarush. and second time last weekend for my elder valentine ;) my husband. This is so delish mug cake, both of them really liked it. Funfetti is a homemade sprinkle cake. The sprinkles cake was created in 1989 when the Pillsbury Company introduced a new type of cake that is called "Funfetti Cake". This is also called Confetti Cake. This was a white cake mix with multicolored sprinkles mixed into the batter and bake as usual. Most recipes call for 1 min on high in the microwave, if the cake is still not baked yet, put it back on high in the microwave at 30 seconds burst until the top of the cake is dry. You don't need to wait for any occasion when you're craving for cake or sweets, this is the better way to enjoy your cravings. This mug cake batter takes only a couple of minutes to stir together, and then the cake bakes up in the microwave in another minute or two. That means you’re less than five minutes away from your own personal vanilla cake studded with happy, colorful sprinkles! And if you want to make several mug cakes at once, simply multiply the recipe accordingly, stir up the batter in one bowl, divide it evenly between the appropriate number of mugs, and microwave them one at a time. 1. In a small bowl, whisk together flour, sugar, and baking powder until thoroughly, completely combined, with no streaks of any ingredients remaining. 2. Blend in milk, butter, and vanilla extract until batter is smooth. Quickly stir in 1 tablespoon of sprinkles. 3. Pour batter into microwave-safe mug or bowl with straight sides. Top with remaining 1 teaspoon sprinkles. 4. Microwave on high for 1 and 1/2 minutes (give or take 30 seconds depending on the strength of your microwave), or until cake is done to your liking. 5. Allow to cool for a couple of minutes before serving. Homemade Sambar Powder recipe with step by step photos - This is a combination of aromatic spices dry roasted and ground together to prepare this flavorsome powder. This powder is used to prepare a popular South Dish – Sambar. Sambar powder is the essential spice mix that you will always find in every south indian homes. Every homes has their own version of making it, and today I am sharing my mom-in-law recipe and my blogger friend recipe. So its a combo of both the recipes. This is also called sambar masala or podi. I made this sambar powder this single jar which you seen in pictures. Because at my we usually don't eat sambar regularly, once in a week. 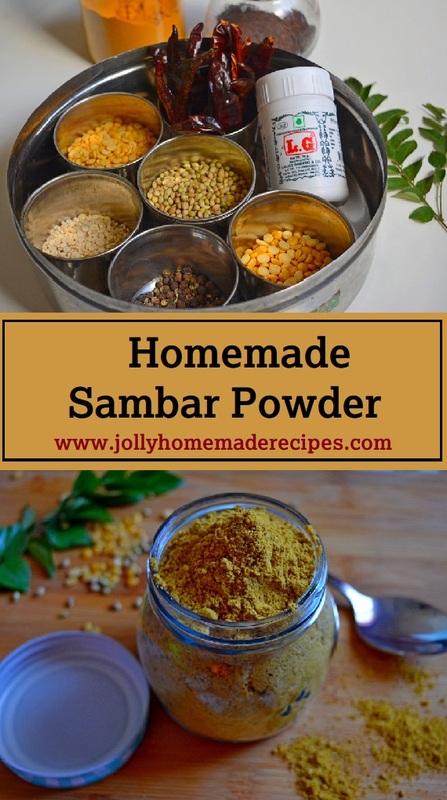 If you are making in a regular base they you may consider make a larger batch of sambar powder. Just store in a air-tight container. For that, you can just double all the quantity of ingredients. This recipe is very simple just dry roast all the ingredients except turmeric powder, hing and blend it into a blender and keep it in a air-tight container for future use. You can use this masala with up to 8 months. Till 7 to 8 months month, it stays fresh. 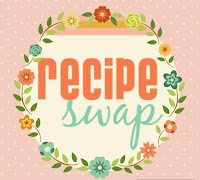 I made this recipe as part of Recipe Swap challenge, where we get one partner blogger every alternate month...we visit so many blogger pace and we try to bookmark their recipes but never really find the time to try it. She is just awesome baker and a very sweet person, she has lots of bread & cakes recipes in her blog which I really liked it..loved so many baking recipes, Do check her blog for more delicious recipes. Thanks Renu for this wonderful and aromatic sambar masala recipe. I have just added mustard seeds more on this recipe and rest of the ingredients are same with my partner recipe. I love mustard seeds in south-indian dishes, so I added into my masala recipe. 1. Firstly gather all the ingredients, measure it out using with measuring cups or spoons and then we need to dry roast all the ingredients one by one. 2. Start with coriander seeds, take a thick bottomed pan add 1/2 cup of coriander seeds. Dry roast on low-medium flame till they turn aromatic. Stir constantly till they are aromatic and you notice a slightly change in color. 3. Remove in a bowl and allow to cool completely. 4. Next roast the dried red chillies, keep stirring till they are slightly dark in color. Remove in above same bowl and cool it out. 5. Next roast the chana dal, keep stirring and roasting for even browning. Remove them to the same bowl. 6. Next roast the curry leaves till they are crisp and no more moisture left. Remove them to the same bowl. 7. Next roast the toor dal, keep stirring and roasting for even browning. Remove them to the same bowl. 8. Next roast the urad dal, keep stirring and roasting for even browning. Remove them to the same bowl. 9. Next add mustard seeds to the pan. Once they start popping, remove it. 10. Then add fenugreek seeds(methi dana) till light brown. 11. Next add black peppercorns. Roast till they are aromatic and remove from the pan. 12. Next the cumin seeds, till they are aromatic. Do not roast too much. 13. Add turmeric powder and hing. Mix all the ingredients together. 14. Once cooled, transfer to the blender and now blend to fine and smooth powder. 15. Remove that powder in a bowl, while grinding it may become slightly warm and allow to cool completely. 16. Finally, sambar powder is ready, store in a air tight container and use to prepare sambar recipes.